All the companies below provide a root access through SSH to their bare metal server. Namecheap offers self-managed dedicated servers including a minimum monthly 10 terabyte bandwidth. The network adapter speed can be 100 Mbps or 1Gbps. The customer can opt for the hardware RAID option. It possible to add several HDD/SSD drives to several bays. Available Linux distributions are Centos, Ubuntu, Cloudlinux, and Debian. Cpanel is the optional web administration panel and WHMCS is the optionally installed web hosting billing system. Namecheap guarantees a 99.9% uptime availability. Namecheap has a redundant network connected to Level3, Highwinds, HE, Cogent and Integra, a redundant climate and power system. Review: Namecheap provides among the cheapest dedicated servers in the USA. The plans also feature everything that is required for someone who wants to start a web hosting company. Cpanel-WHM allows to host several customer accounts on a server and WHMCS allows to bill customers. Cpanel and WHMCS work together. Bluehost sells self-managed (also called unmanaged) Dedicated servers powered by an Intel Xeon CPU. The smallest bandwidth limit is 5 terabyte on a monthly basis. The Storage is a preinstalled hardware RAID 1 array meaning that two drives are identical in real time. Installation is instantly delivered upon successful payment. The Cpanel web host management (WHM) is installed by default. The available Linux distributions are Arch, Centos, Debian, RHEL, Ubuntu. 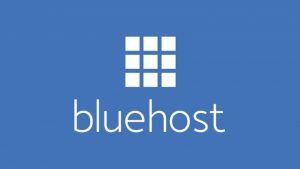 Review: I was a BlueHost customer and I have noticed no problems in 2 years. Then, I moved a website to Europe since my visitors were from Europe. It is an industry standard. Bluehost is a conservative company that will not put their network infrastructure upside down tomorrow. It is good for those who are looking for a long-lasting relationship with a trustful business partner. Sharktech provides a free DDOS protection to its dedicated server customers with a minimum 10 terabyte monthly bandwidth limit. Many bare metal server plans feature hardware RAID with SSD or HDD. They provide Linux distros, XenServer, FreeBSD or MS windows server for the free setup. Two different control panels are sold along with the dedicated server: DirectAdmin and Cpanel. CavpsHost is the web hosting company that allows the highest monthly bandwidth: 30 terabytes! It works along with a 1Gbps network adapter on every dedicated server. Every plan comes with a free DDOS attack protection. The smallest dedicated server spec is outstanding: 48GB ram, 1TB HDD or 250GB SSD, 2 IP addresses. It is possible to set up to 4 drives on every server. A customer may choose Centos, Debian, Fedora, Ubuntu as Linux distribution. Review: This would be the choice for the webmasters who stream audio and videos because the monthly bandwidth and the network adapter speed are high by default compared to any other web hosting offers. This would also be the best choice for those looking for gaming servers. Hostwinds provide 1Gbps network adapter and a minimum 10 terabyte monthly bandwidth by default. Every web server comes with minimum 5 IP addresses & 8GB of RAM. The Hostwinds network and the power sources are redundant which means there is a failover solution in case something goes wrong. You can customize your dedicated server and add from 2 to 4 enterprise HDD or SSD drives. Some plans feature a hardware RAID 0 or RAID 1. For sure, you can decide to install a software RAID on your own across the drives. The Hostwinds dedicated servers can be delivered with Centos, Debian, Fedora, Ubuntu. The company guarantees a 99.9% uptime server availability. Every plan includes a 24/7 support. Review: It would be the web hosting of choice for those looking for a safe, redundant and cost efficient web hosting. Every plan has a hardware RAID 1 option maintained by Hostwinds. RAID 1 means that two drives contain identical data so that if one fails, the backup is the exact copy of the first drive. Furthermore, we know that the infrastructures of the datacenters have alternate power sources.